You are here: Home / Electric Bike News / E-Bike News: BMW E-Bike, Stromer ST1, E-Bikes at SXSW, BikeSpike, & More! 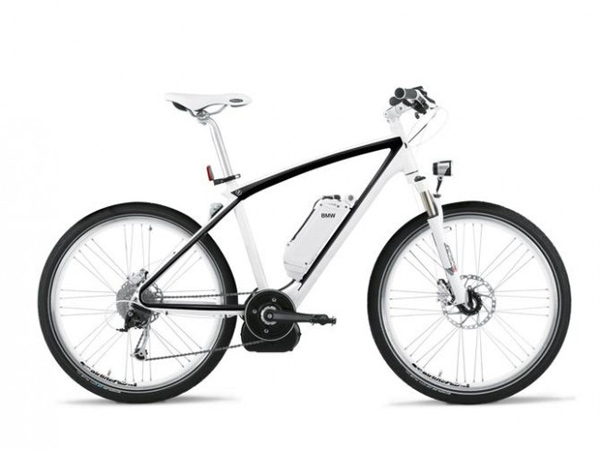 EVELO electric bikes is holding a 30 day electric bike challenge where participants will exchange their car keys for an electric bike to ride for 30 days! Currently the challenge is set to take place in at least 10 cities: Austin, Boston, Chicago, Miami, Minneapolis, New York, Philadelphia, San Francisco, Seattle, Washington DC, and more to be announced soon. Find out more about the challenge! B-Line electric trike delivery in Portland Oregon was recently featured in Time Magazines 10 ideas that make a difference! Here’s a cool video about Rocket Electrics e-bike shop in Austin Texas. Rocket Electrics rents electric bikes to people who want to get around the popular and crowded South by Southwest music festival in Austin. Electric bikes make a lot of sense for really crowded areas like music festivals. It’s way more fun than driving! Speaking of videos, here’s a story about a local businessman in Madison, Wisconsin who recently opened his own electric bike shop called Len’s Electric Bikes. 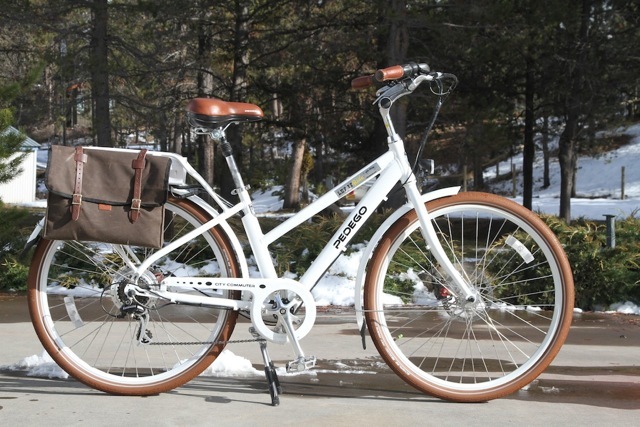 Electric bikes are becoming more popular in the Pacific Northwest! Here’s a good article on the electric bike scene in the Seattle and Portland areas. 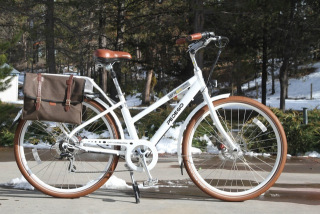 Paul Willerton recently tested and reviewed the Pedego City Commuter electric bike in some snow and ice conditions! Over the last few weeks I’ve had a chance to thoroughly ride and test the Juice Riders ODK electric cargo bike. Here is the full review of the Juice Riders ODK for you! What is the BikeSpike? Well it’s a GPS enabled device that will allow you to track your bike on your smartphone (iPhone, Android) in case it’s stolen. You can even grant access to police so they can track and recover your bike! The future looks good for electric bikes! TWS, the world’s third largest lithium ion battery manufacture is now focused on electric bikes. The number of electric bike drive options continues to expand! GreenTrans is an e-bike drive option that’s focused on the electric mountain bike scene as well as the electric trekking scene. They will offer 36V and 48V systems with integrated bottom bracket torque sensors. Electric bikes are making some waves in the traditional bicycle industry. 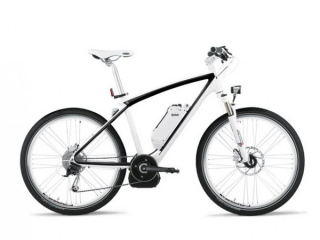 This year electric bikes will be featured at DealerCamp.